The New England Horror Writers will be at Anthocon this weekend. The convention runs from Nov. 9 through 11. Here are the NEHW members who will be there this weekend: Michael Arruda, Tracy Carbone, Karen Dent, Roxanne Dent, Peter Dudar, Michael Evans, Timothy Flynn, Dave Goudsward, Scott Goudsward, Jason Harris, Chris Irvin, Jan Kozlowski, Stacey Longo, Bracken McLeod, David Price, L.L. Soares, Douglas Swatski, Erin Underwood, Vlad Vaslyn and Rob Watts. 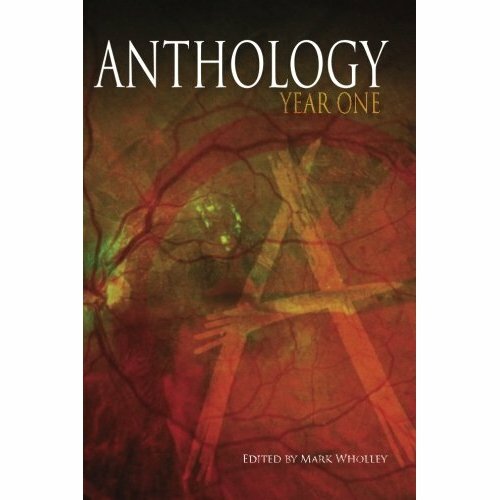 The first Anthcon anthology, Anthology: Year One, will debut this weekend. It’s published by the Four Horsemen. Everyone in this collection participated in the first Anthocon last year. Quite a few NEHW members are in this collection. If you can’t make the convention, you can order a copy on Amazon by clicking here.